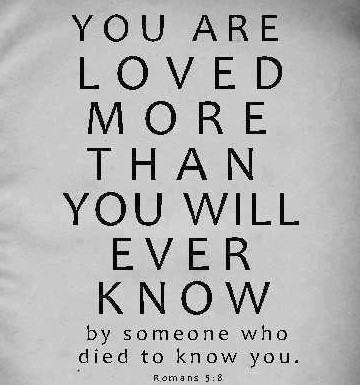 We can know forever life in heaven..
is by believing what He has said about us and about where He is. to find the wonderful life of peace He has. John 14: 1 “Let not your heart be troubled; you believe in God, believe also in Me. 2 In My Father’s house are many mansions; if it were not so, I would have told you. and We will come to him and make Our home with him. 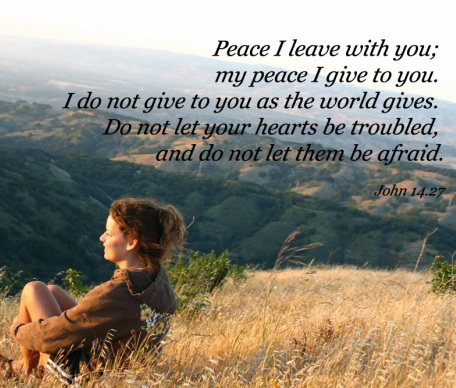 27 Peace I leave with you; my peace I give you. I do not give to you as the world gives. [as all are] - and we cannot enter heaven by our own efforts or imagination. 23 for all have sinned and fall short of the glory of God..
dissensions, factions 21 and envy; drunkenness, orgies, and the like. and of the ruler of the kingdom of the air, the spirit who is now at work in those who are disobedient. gratifying the cravings of our sinful nature and following its desires and thoughts. 2 Timothy 3:1 But mark this: There will be terrible times in the last days. Acts 2: 32 God has raised this Jesus to life, and we are all witnesses of the fact. 4 Nicodemus said to Him, “How can a man be born when he is old? we should become heirs according to the hope of eternal life. by confessing our need to Him. I want my heart re-newed by Your grace..
for You love me and know what is best for me, I trust You. 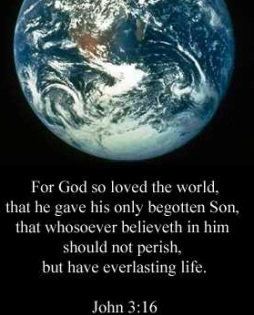 "For God so loved the world that He gave His only Son, so that whoever believes in Him will not perish but have eternal life." that He places His eternal life in us..
and shall not come into judgment, but has passed from death into life. but have passed [NOW] from death to life. but those who live in accordance with the Spirit have their minds set on what the Spirit desires. will also give life to your mortal bodies through His Spirit, who lives in you. God's heaven is for those who want Him, we have this life to choose. If you know this, you know HIM, and know the rest He gives..
Jesus says ask, seek, knock and the door will be opened..
it is enough to see Jesus. He is both the Blessing we all seek and the easily accessible Way to this blessing. which the Holy Spirit gives to the eye of faith. It is enough to see Jesus and to go on seeing Him"
to strengthen those whose hearts are fully committed to him. Click here and type in any subject..
is sackcloth and the rope. ‘I never will acknowledge that I deserve to be damned!’ -- Then you never will be saved. He says to you, I love you, you are mine. Your life is in My hands, I am always with you. I gave My life so that you might live forever with Me.